Known for his slicked-back ponytail, his sharp suits and his dark sunglasses, there’s no doubt about the fact that Karl Lagerfeld will go down in history as one of the most prolific fashion designers of all time. Although his passing left a hole in the style world, there’s no doubt about the fact his legacy will continue for years to come. This will be from the clothes and the fashion houses that he touched, but also by the quotes that he professed over the years. These are some of his top quotes about fashion and lifestyle. Although Karl Lagerfeld had a huge following on social media, and people across the world saw his designs splashed across the likes of Facebook and Instagram, he wasn’t too fond of these platforms as a whole. He stated that “These social networks, there’s something sad about them… It’s like a talkative mirror where people talk to themselves. And what I hate most in life is selfies.” As a fashion designer, Lagerfeld always made sure that he had the time to interact with his models and muses in the flesh, which is why his passing touched the hearts of millions across the globe. During an interview in 1991, Karl said, “To say that there is no fashion anymore is ridiculous. The fashion of no-fashion is still fashion. And fashion is a train that waits for nobody. Get on it, or it’s gone.” He proved that he was well and truly on the train during the course of his career. He was constantly changing his style to fit with the changing trends and tides, but he would also maintain his own unique aesthetic and work with the techniques and the flair that had made him famous in the first place. As one of the most famous and iconic fashion designers of all time. For him, it seemed like a very natural process, and he made sure that everyone knew this about him. He stated that “I design like I breathe. You don’t ask to breathe. It just happens.” It seems as though this natural design aesthetic spurred him on to become one of the most successful and legendary designers in history, and allowed him to create impressive designs that would be worn by some of the most iconic models to ever walk the catwalk. During the CFDA Lifetime Achievement Awards in 2002, Karl Lagerfeld was awarded with the accolade. Although he was deeply humbled by the award, he also had this to say. “I don’t believe in lifetime achievement. For me, it is all about the next collection.” This shows just how much heart and soul Karl put into his work. He wasn’t in the business for the fame or the fortune. He was all about creating a brand and a vision that he was proud of. He definitely achieved this. 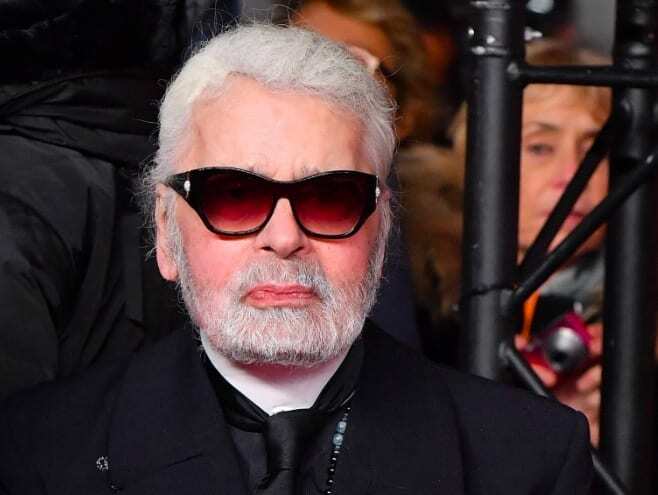 Karl Lagerfeld’s passing had a profound effect on the world of fashion, but we can remember him fondly with these impressive quotes.